This weekend has been all about resting and letting my body recuperate from what I put it through this past week. 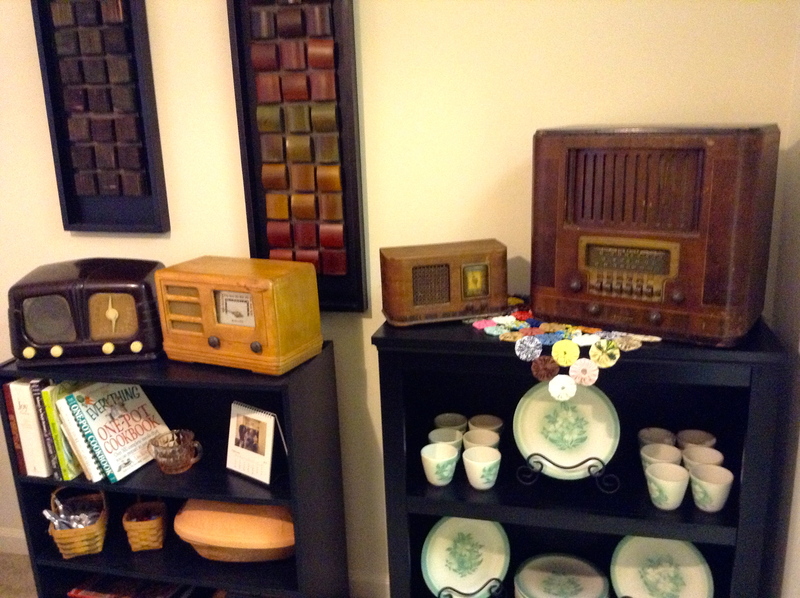 I just added a seventh antique radio to my collection! New address for this blog! I’ve got a new address! Now, when you go to gettinsentimental.wordpress.com, it will redirect you here to 14thandoak.com. I chose this domain in honor of my beloved Fibber McGee & Molly. Anyone who is a fan of the show knows that anytime anything ever happened in the lovely little town of Wistful Vista, it happened at 14th and Oak. Bank robbery? At 14th and Oak. Fibber’s car stolen? He last parked it at 14th and Oak. Fibber’s hand caught in a mailbox? It was the one at 14th and Oak. Molly headed to the Bon-Ton Department store to check out the new fur coats? She did that at 14th and Oak. Fibber craving ice cream from the soda counter at Kramer’s Drugs? That was located at 14th and Oak. 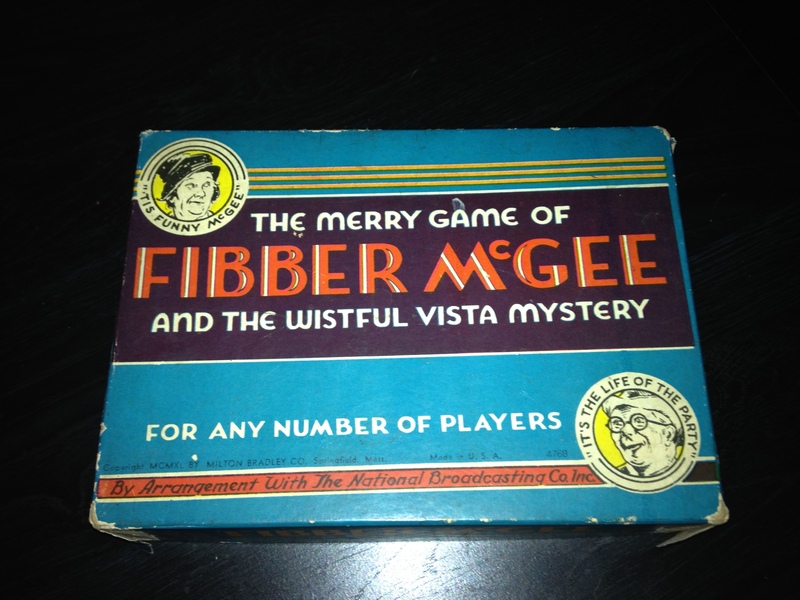 Free domains associated with Fibber McGee & Molly are hard to come by. I was very happy when I stumbled upon this one. So in honor of my favorite show from the golden age of radio and the two stars, Jim and Marian Jordan (who feel like family to me because of the hours I have spent listening and laughing at their antics) my blog, too, is now located at 14 and Oak! Well, I went into Southport Antique Mall not expecting to find much and left two hours later with two new (but old) radios, a piece of Depression glass, and a vintage doily! 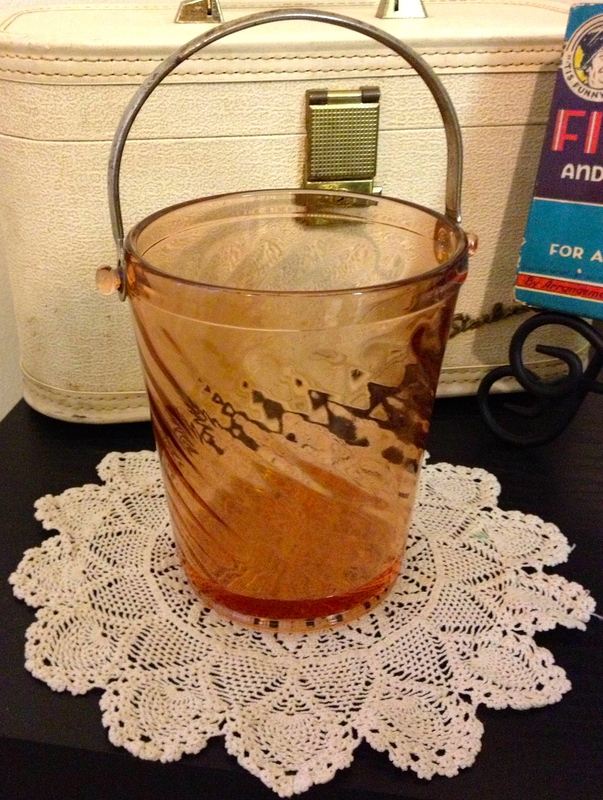 First, here’s my pink Depression glass ice bucket (sitting on the vintage doily). I’ve seen a lot of Depression glass, but this is the first time I’ve ever seen an ice bucket. It’s surprisingly heavy! 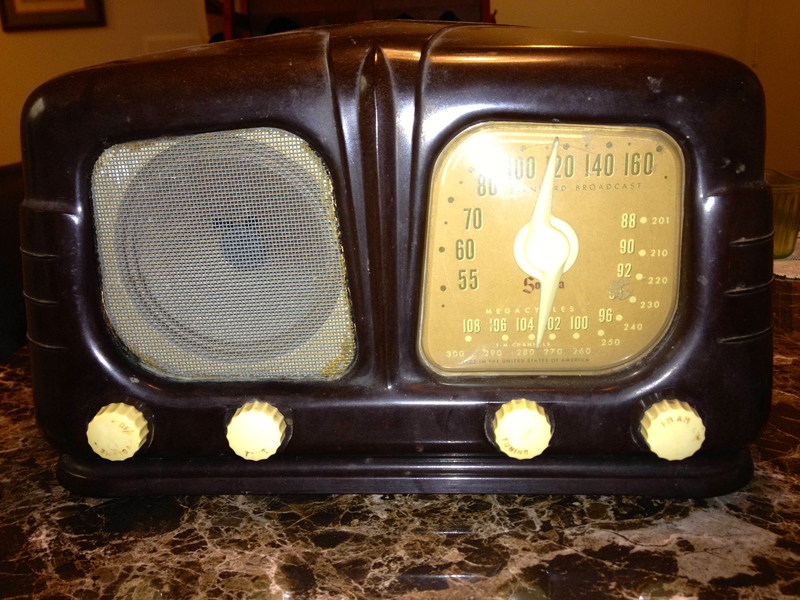 Next, here is a Sonora brand radio, which I’ve discovered is from 1948. I got it for a great price, considering it’s in really good condition! 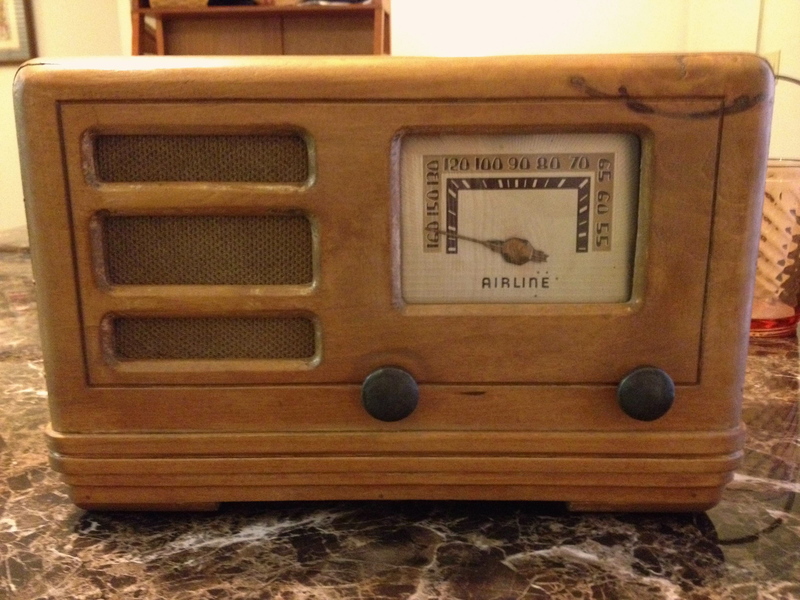 And finally, this is a Wards Airline radio. This one is my new favorite radio. It’s gorgeous. The problem is that I can’t identify what year it’s from. These radios, sold by Montgomery Ward, were made by a company called Wells-Gardner. This one is model number WG-193, and I can’t locate any information on it. The closest I can find is model number WG-197, which came out in 1936. So I’m guessing it’s from the 30s. Also, due to starting my new website (details on that coming soon), I bought the cookbook below on eBay and it arrived today. It’s a Mary Lee Taylor cookbook from 1941. (And if you’ve never heard her, you need to look her up. She read recipes over the air and repeated everything so the listener had time to write it all down!) She had a radio show for over 20 years and was sponsored by Pet Milk. Anyone who knows me knows that one of my biggest obsessions is old time radio – specifically, the show “Fibber McGee & Molly.” (I mean, c’mon, they’re in my WordPress icon. I LOVE Jim and Marian Jordan, aka Fibber and Molly. They feel like family to me!) So I’m quite excited to be adding this Milton Bradley game from 1940 to my collection!